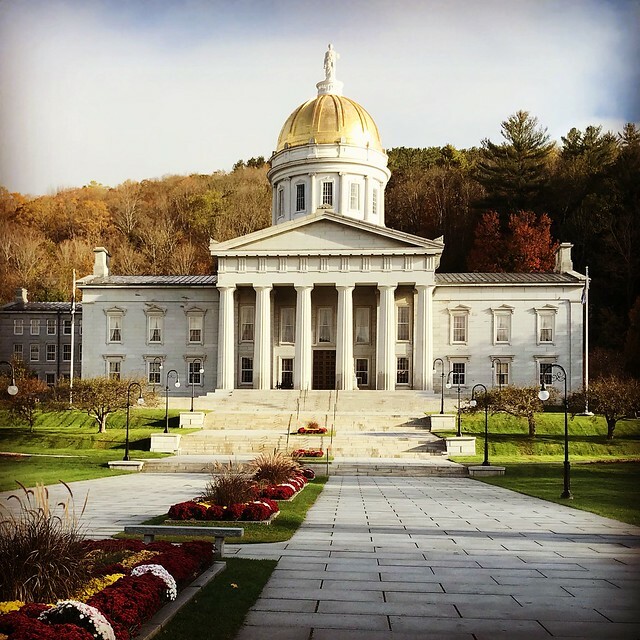 We walked to the Vermont State Capitol Building after breakfast on day three of our F@ll 2017 New England trip. 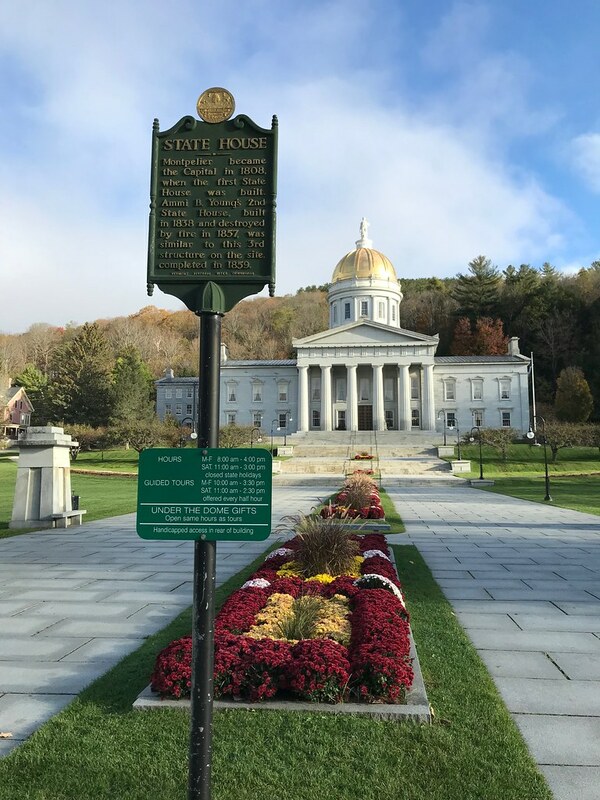 This marker is located at 125 Street Street, Montpelier, Vermont. 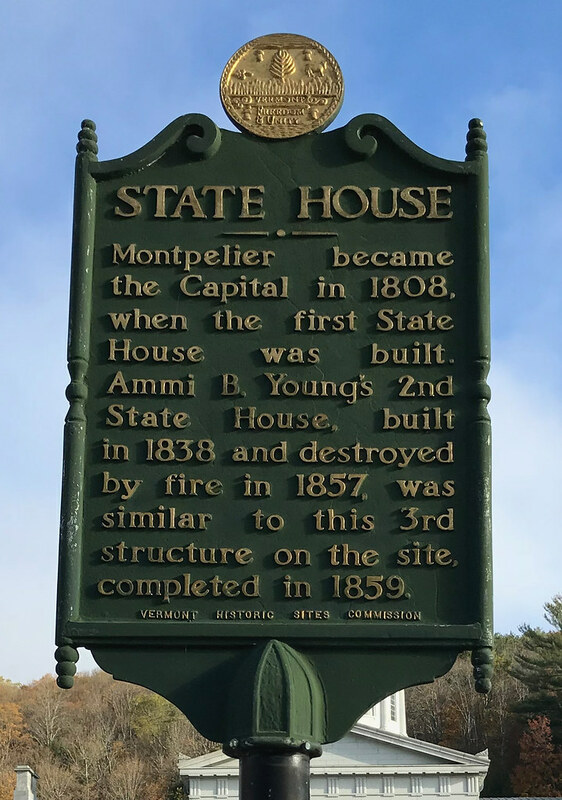 The GPS coordinates for this location are 44° 15' 41.3" N 72° 34' 51.3" W.
Montpelier became the Capital in 1808, when the first State House was built. Ammi B. Youngs 2nd State House, built in 1838 and destroyed by fire in 1857, was similar to this 3rd structure on the site, completed in 1859.